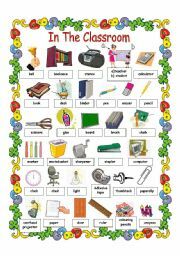 Teaching grade 1 to 6 and loving it! 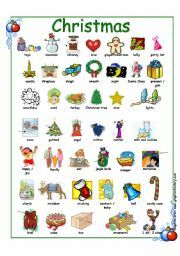 It´s a vocabulary sheet about objects or person that we see in the classroom. 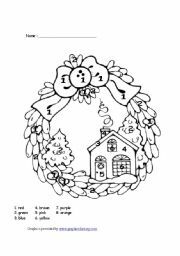 Students have to follow the directions to colour their picture. 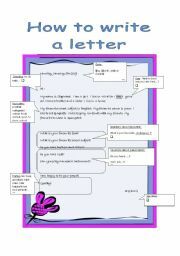 I´m starting a penpal project after Christmas and I prepared this tutorial for my students. There are 2 versions: one with pictures and one with definitions. The answer key is on the third page. Hi! 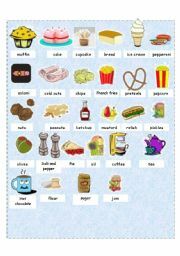 This is page 1 of 2 I´m uploading about food we can get at the grocery store. 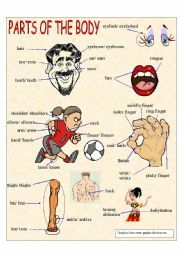 Vocabulary about feelings. Text is editable. Green background is removable. Hi! 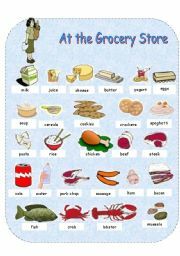 This is page 2 of 2 I´m uploading about food we can get at the grocery store. Text is editable. 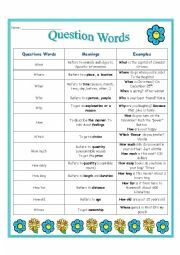 First page is a review of questions words, how to use with examples. 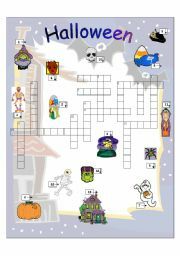 Next page is a "match the question with the answer" exercise Text is editable and answer key is on the last page.